2015 was a productive year for my photography with travel to Montana, California, Nevada , Wyoming, Utah, New Mexico and Arizona as well as lots of Colorado trips. It is always hard to pick 10-12 favorites. Hope you enjoy these! It has been too long since I have posted to this blog, The past year has been busy and challenging with ups and down including the passing of my father. I managed to get a reasonable amount of photography done with several trips. Reviewing my images I have picked out 12 of my favorites from the year. Enjoy! I am resolving to post more in this new year. There is nothing less interesting to me as a landscape photographer than a bright clear cloudless sky, but add some clouds and marginal weather with interesting light and wow, some magical images can be made. A great example of this is my Bison and Crestone Peaks image where the sun lights up the layers of clouds formed from an inversion and a clearing late Spring storm with fresh snow on the peaks . Earlier in the morning the valley was blanketed in fog and I was able to make some interesting images but as it started to burn off, this amazing scene was revealed. Clouds can add a dynamic element to any landscape and can make any image truly unique. 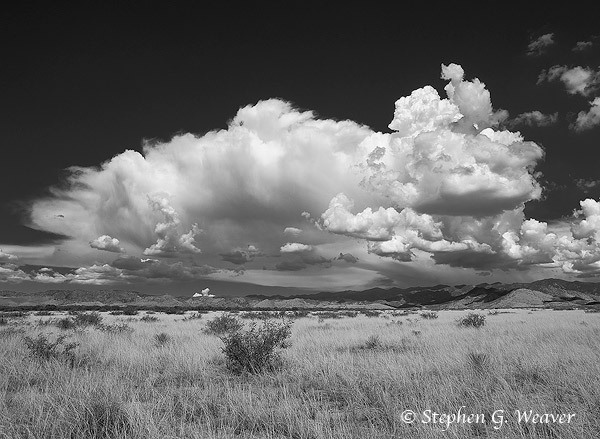 I will offer two additional examples, a black and white image of amazing cumulus cloud build up over the Chiricahua Mountains in Arizona in July, and early morning clouds over the Tall Grass Prairie Preserve in Oklahoma. Without the clouds my camera would have stayed in the bag. 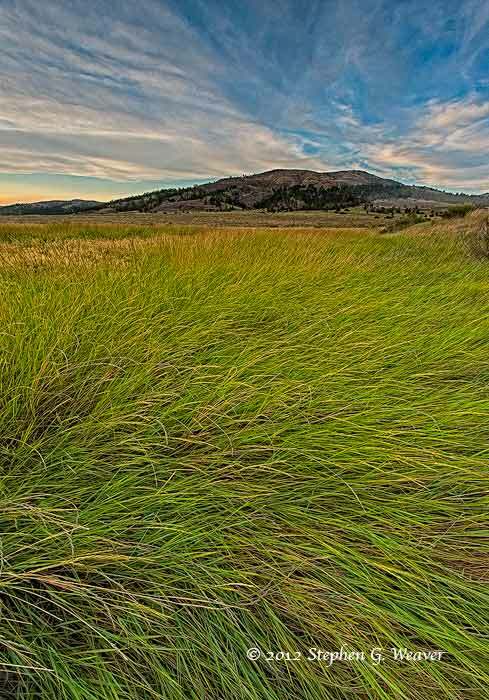 My image Iris Meadow Sunset was recently chosen for the September Cover of the Rocky Mountain Nature Photographers web-site. 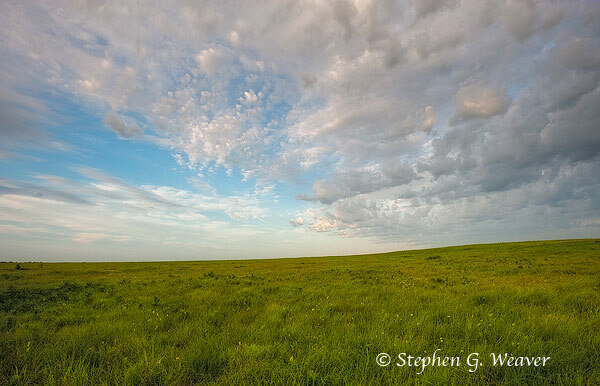 The story behind this image provides a great example of what some location planning and the ability to react to sky conditions quickly can do for the landscape photographer. I am a member of the Chico Basin Ranch Artists and this June we were down on the Zapata-Medano Ranch in the San Luis Valley for our annual Artists Gathering. Conditions on the ranch were perfect with fresh snow on the mountains and the wet meadows ablaze with blooms of wild iris. During our first evenings dinner I was watching the sky through one of the windows and quickly realized the sunset light was going to be spectacular. I excused my self and quickly jumped in the my truck and drove a few miles to a location I had scouted earlier in the day. I arrived just in time and quickly set up on this composition as the sunset began lighting up the clouds over the Sangre de Cristo Range. The resulting image turned out to one of the best I made during the trip. This light only lasted a few minutes and if I had not scouted the location and been able to react quickly to the developing conditions, this image would have been lost.